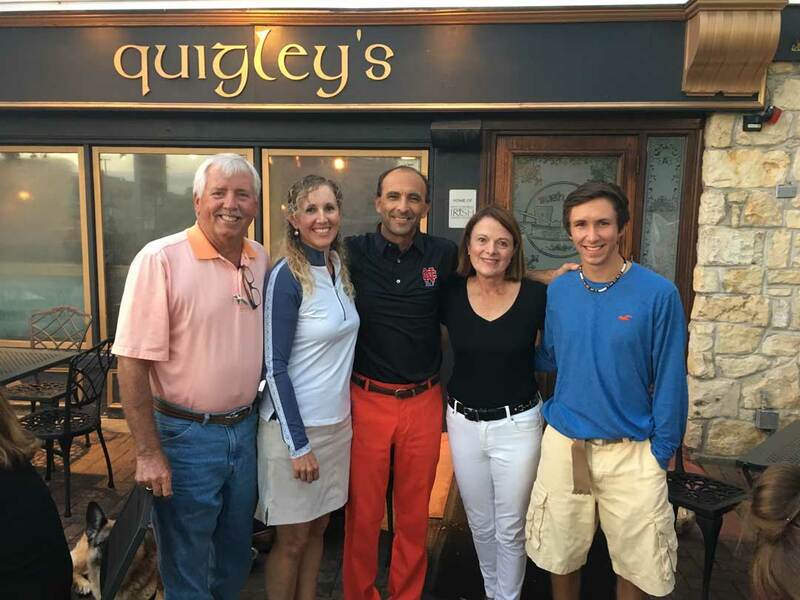 Quigley's Irish Pub is nestled in the Jefferson Hill Shops, 43 East Jefferson Ave., in downtown Naperville. Give us a call at (630) 428-4774 or stop in for a pint, music and Irish fare. We're open: Mon-Thurs: 11:30am to 1am, Fri: 11:30am to 2am, Sat: 10am to 2am, Sun: 10am to midnight. The West Suburban Irish call us their home and we offer Naperville's original dog friendly patio during warmer months. Quiz night is at 7PM the first Tuesday of most months. There's also live music on Thursdays, Fridays and Saturdays. Slainte!